The saying “you get what you pay for” usually applies to WordPress themes. There are some especially great free themes available, more often than not retired former premium themes. In my experience, the support and ease-of-use that comes with the comparatively inexpensive premium WordPress themes is fully worth the expense. Ultimately I started getting premium WordPress themes because I more often than not found the style I desired and was able to read about constructing sites on WordPress with the support forums that accompanied my premium theme purchases. The following are guidelines for buying a premium WordPress theme. 1. What license are you getting? I will not purchase a theme that restricts the number of websites and blogs I can build – whether for my use or for client use for the one time purchase price. I require no limitations to the use of a theme I buy. What I need then is ultimately a developer license. 2. Key question to ask the theme provider: do you need to know coding to tailor the theme? If you can’t tell from the theme’s website how much you can customize a theme without knowing any coding, e-mail the theme developer and ask. 3. Thinking of purchasing a badly coded theme? Think twice. Many free WordPress themes are not well coded. Odds are you can’t distinguish good from bad code unless you know coding yourself. That’s an additional basis to purchase a premium theme from decent WordPress theme seller. Before purchasing a theme, unless explicitly stated on the premium theme’s website, ask whether the theme is W3 code compliant. W3 is the World Wide Web Consortium that develops web standards. 4. Are you searching for a theme that needs a small number of or no style changes? Perhaps you’re not interested in changing the look and feel of a theme, and instead need a theme that is ready to go. If this is the situation, then all you need to do is shop around until you come across the theme that’s perfect for you. Does the theme offer drop-down menus? Are categories on a top navigation menu bar? Although font is somewhat easy to customize, do you like the font used by default (the fewer modifications necessary, the better). In any samples displayed do you need to incorporate plugins to reproduce that look and feel. For example, many themes exhibit with a slide show. Often that slide show must be installed. It’s easy to set up and not a big deal; just be sure you’re buying with open eyes. Does it have auto-size thumbnail management? Auto-size thumbnail management automatically re-sizes images into thumbnails at the top of each post. This is a very convenient feature that improves the style of any blog post. 6. Is the theme widget ready? Widgets give WordPress websites and blogs enhanced customization options. More and more themes are designed with more widget options. Wherever a widget can be placed, you can insert text, images, videos, navigation options, and just about any type of content. If you want flexibility, you want and need a “widget-ready” theme. Most premium themes are widget-ready; be sure to verify}before purchasing. 7. Is it fast and uncomplicated to revise the header and/or logo? Some themes enable you to basically upload your header from the options panel. Other themes require you to upload your header through your hosting service. It’s easier and quicker through an options panel; however, it never hurts to get accustomed with uploading files through your domain host. 8. Are there any color options with the theme? 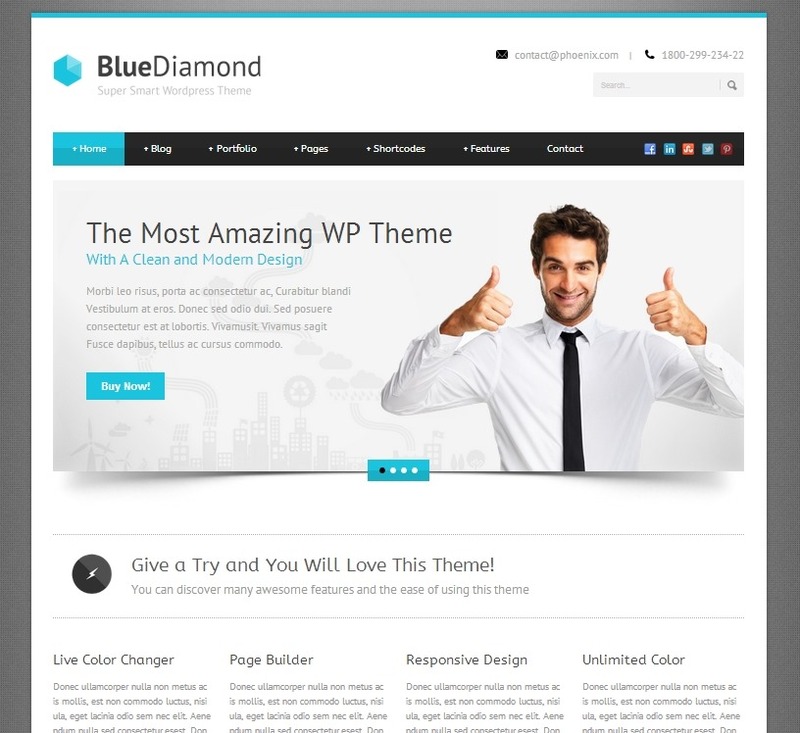 Some themes offer a variety of color options, while other WordPress themes offer one color scheme. Whether you want a theme with a variety of pre-loaded color schemes is a personal choice. You can, of course, change all the colors in the CSS style sheet; however, that is time-consuming, especially if you don’t know CSS. The point is to be aware that not all themes offer a variety of color combinations. If a variety of color options is important to you, then buy from a theme that provides it. 9. What type of support is included with the theme purchase? Ensure customized developer support is available, and if so, determine how much it costs. The forums are great, but they won’t build your site for you. It’s nice to know if you encounter an issue that is totally beyond your skills that you can for a price have an expert fix your issue(s) for you. Remember, paying for 1 hour of work at $100 per hour is still much cheaper than hiring a developer to build your entire site. 10. Will the theme “as is” serve your needs? That said, at some point you need to stop planning and start constructing. No matter how much you plan, you’ll change your mind during development. The wonderful thing about constructing websites, especially in WordPress, is almost everything is possible. Better yet, the information to make it work is on the internet. 11. How much should you spend on a premium theme? First, no matter which theme you buy, it will be much less expensive than employing a website developer. Immediately you’re ahead. That said, anticipate to pay anywhere from $10 to $130, and perhaps more for a single premium theme. There are three pricing models: single purchase, an all-theme purchase, and club membership (i.e. subscription model). The single-theme purchase gives you license for a single theme. Keep in mind that you may use it only once OR you may use it as much as you like. I always want the unlimited use license. The all-theme purchase gives you full access to all the themes developed by that particular theme developer. The club membership purchase is a form of the all-theme access model, but requires you to pay an ongoing cost to retain access to new themes and forum support. I commonly buy a single theme and if I like it, upgrade to an all-theme purchase. I avoid the recurring (subscription) purchase model because I don’t care for committing to an ongoingexpense.